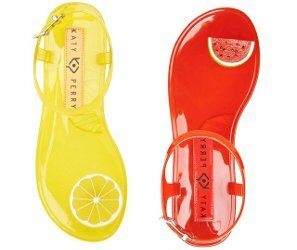 From Katy Perry, The Geli: "Everyone’s favorite jelly sandals get a scented, tutti fruitti makeover perfect for tropical adventures and beachside cocktails." Available in a variety of fruits (shown are lemon and watermelon; there is also lime, strawberry, cherry, peach and grape). 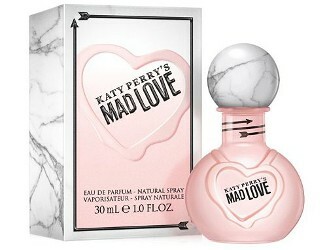 Found via Teen Vogue, who say the shoes "ostensibly smell like the fruits that are pictured next to each toe". 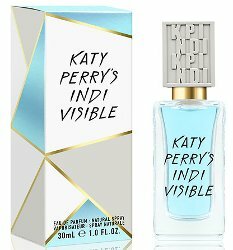 Around $49 each directly from Katy Perry, or at Nordstrom, Zappos, Macy's and etc. 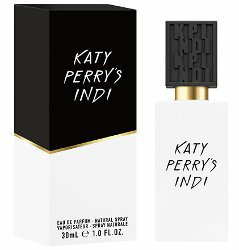 The spot for Katy Perry Indi.